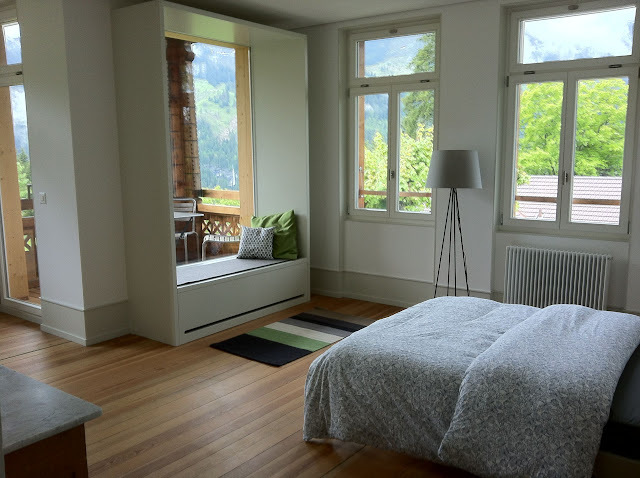 The friend made a calculated and clever decision to visit the warmer region of Ticino first before moving on to the Bernese Oberland which, by that time, had “warmed up” significantly for summer. 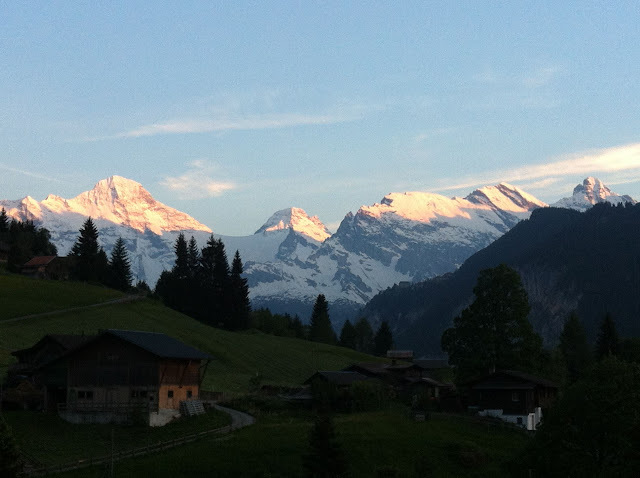 After lugging our backpacks through a couple of crowded train transfers and trudging through the roads of Wengen, we finally reached our house, Schlosseck (sidenote: all the houses are named). The. effort. was. all. worth. it. The apartment was a dream. It had a Scandinavian-style of interior design- minimalist, not cluttered, yet it wasn’t bare either. Very comfortable and I love the full-length windows that let all the natural light in! The ceiling height was decent too, not too short. 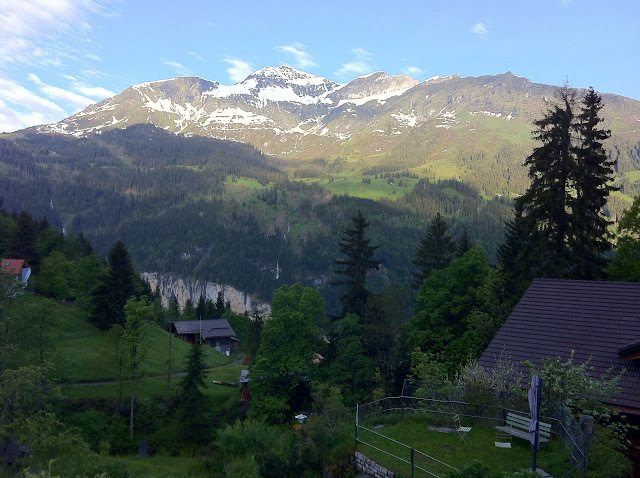 Our stay in the Bernese Oberland was I think one of my favourite parts of the trip. Thanks to the friend we got as close as we could get to “living like a local”. Lots of fresh air, feeling the mountain breeze, soaking in the awesome views of the Swiss alps, whizzing through towns everyday (through trains, cableways, ferries), buying local products, cooking etc. Girl if you are reading this, many thanks!! On track to Kleine Scheidegg. Did I mention that the swiss hiking trails are incredibly well marked? 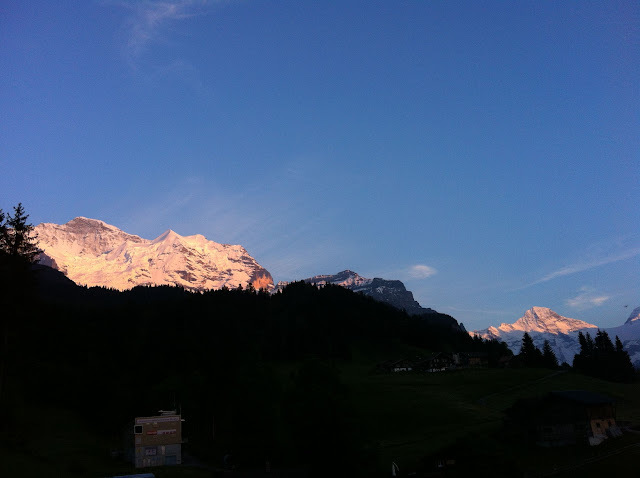 Views of the Bernese Alps were simply breath-taking. On our way down: we were all fascinated by how the clouds formed a halo over the mountain! 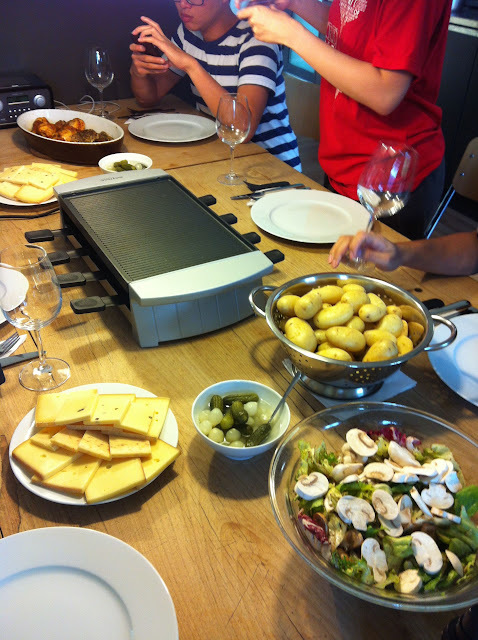 Raclette dinner: Raclette from a local cheese shop in Wengen; good food, better company!